Today’s edition of the Virginia Baptist Religious Herald continues efforts to reconstruct the Old Confederacy as a righteous slave regime that was overwhelmed by the military might of an ungodly Northern people. Upset that Missouri is requiring all ministers to sign an oath of allegiance to the United States, Southern Baptists lament that the mandate intertwines church and state and thus violates freedom of conscience, forgetful that they previously celebrated the Confederacy as God’s chosen nation and advocated that the government mandate the observance of the Sabbath. 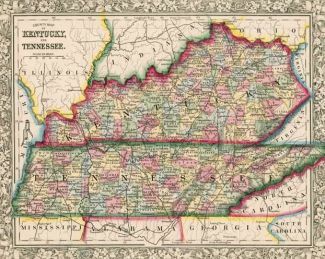 Cheering the decision by white Baptists of Kentucky to remain loyal to the Southern Baptist Convention, an editorial blames the post-war trajectory of the state on opposition to black Union troops having been stationed there during the war years. Tragic, too, the paper notes, is the current state of affairs in which slaves no longer work Kentucky’s fertile fields. The contours of a Christian, post-war, pro-slavery apology of the doomed Confederacy are already taking shape.